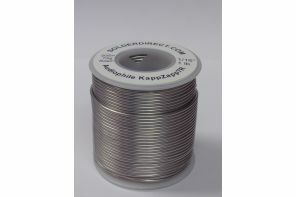 KappZapp7R™ Tin-Silver solder is the audio industry standard for Lead-Free electrical/electronic Copper applications. 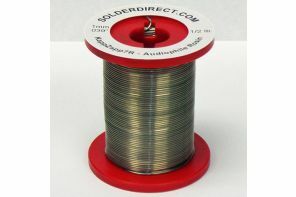 The center of the solder contains a natural rosin flux, eliminating the need for externally applied flux to remove the oxide coating and form a strong bond with the metals used. 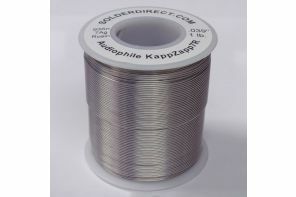 The 7% Silver content makes this solder excellent for applications requiring a higher temperature range and/or higher Silver content for superior strength, pressure, tolerance, and vibration resistance. KappZapp7R™ creates extremely clean conductive joints that offer higher strength, ductility, and corrosion resistance. It is NSF Certified Lead-free. Paired with Kapp CopperBond™ Flux when additional flux is necessary. 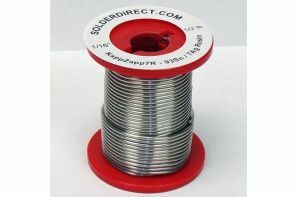 For most alloys and projects, no additional flux is required when working with KappZapp7R™ rosin-cored solder. Some highly polished Stainless Steel alloys contain more Chromium and Nickel. 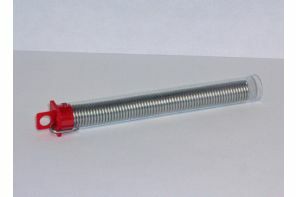 These parts may require extra effort to remove the oxide layer by sanding, scratching with a Stainless Steel brush or emory paper, and by the addition of Kapp CopperBond™ Flux.